In an interview held earlier this week to promote the current UK tour, Triple H spoke to Sky Sports where the company stands in terms of having a WrestleMania or a big pay-per-view in the United Kingdom. “If you’re going to set an ambition, set it high. As we always say, never say never. WrestleMania is a week-long series of events and the logistics of executing that week along with the week leading into it and the week after it are extraordinarily difficult in our own back yard. 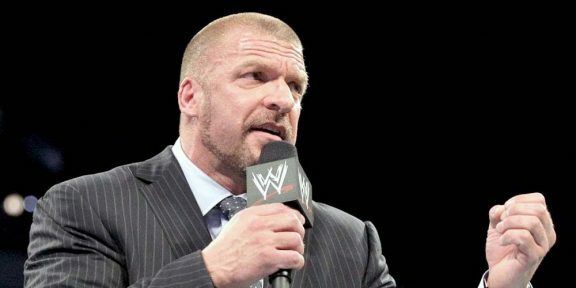 Doing them internationally with international crews and international support systems and everything else is a factor of difficulty way beyond what we have in the US,” Triple H said when the topic came up. The last big pay-per-view held in the United Kingdom was SummerSlam in 1992 which was headlined by The British Bulldog versus Bret “Hit Man” Hart for the Intercontinental title. Since then, countless tours, Raw and Smackdown television tapings and an NXT Takeover were held, but still, that big pay-per-view keeps being elusive. “Can we get there? Sure, maybe over time. We would take steps in that direction and those steps are probably other pay-per-views. From my point of view I’d like to bring other meaningful events through WWE, whether that’s NXT or the United Kingdom championships, taking international brands and putting them on in those markets,” he continued.